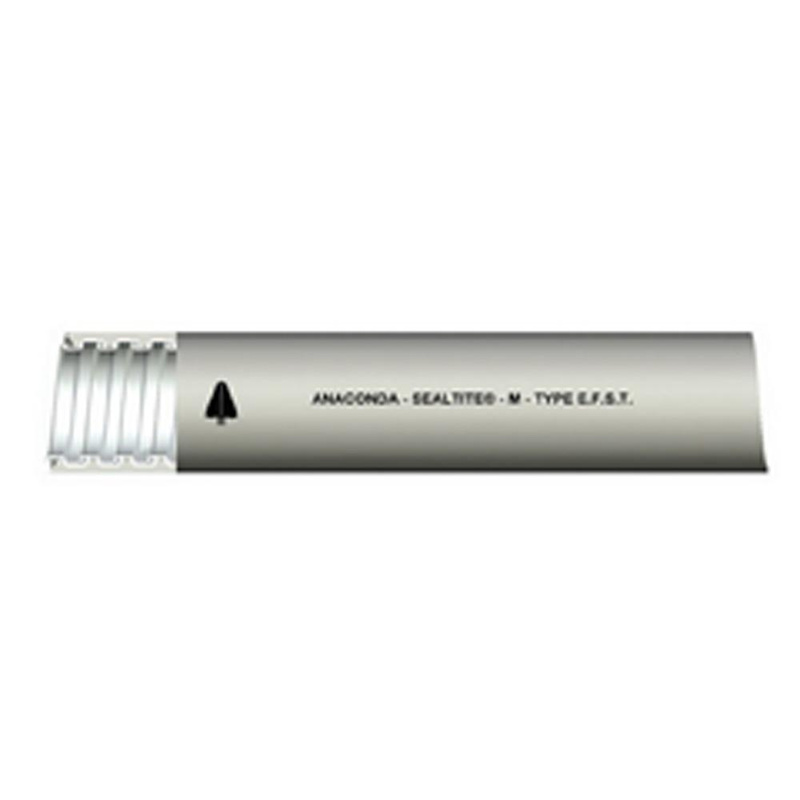 Anamet Seal-Tite® Type EFST Flexible liquid-tight conduit in gray color, has trade size of 5-inches. It features hot-dipped zinc galvanized steel construction and thermoplastic PVC jacket. This 25-ft conduit comes in standard carton. It has inside diameter of 4.975 - 5.035-Inch, outside diameter of 5.505 - 5.565-Inch and bend radius of 22-inches. This conduit offers liquid-tight raceway for electrical conductors. Conduit is RoHS compliant and meets NFPA standards.